Prof. Covic is a Professor of Nephrology and Internal Medicine at the “Grigore T. Popa” University of Medicine and Pharmacy, the Director of the Nephrology Clinic and the Dialysis and Transplantation Center in Iasi, Romania. His main areas of interest are cardiovascular complications in renal disease, CKD-MBD, renal anaemia, peritoneal dialysis, and acute renal failure. Follow him @accovic. This theme is, for the first time, the subject of a dedicated section. The choice of an optimal outcome measured in trials designed to assess kidney status is provocative. 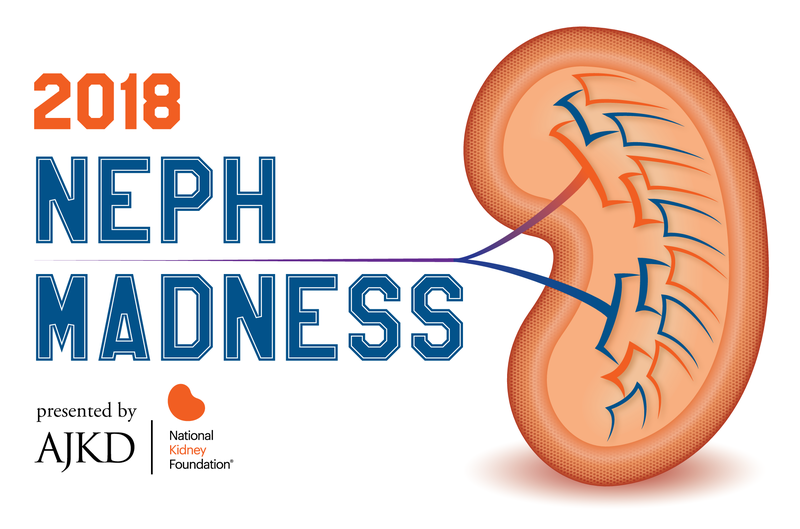 Chronic kidney disease (CKD) is a worldwide public health problem. Timely detection and appropriate treatment in the initial course of disease is beneficial. However, progression of kidney disease can take several years to manifest. In this context, clinical trials enrolling patients in early stages would necessitate an extended follow-up or an unreasonably large sample size to determine medication efficacy; additionally, a reliable surrogate end-point of CKD progression is required. But what is a reliable outcome? First of all, prognostic evidence of the surrogate end-point with patient outcome must be available. Second, a biologically reasonable relationship between the surrogate and outcome should exist. Third, clinical trial data must demonstrate that the effect of interventions that change the surrogate end-point is directly related with the same change in clinical outcomes. Proteinuria, doubling of creatinine levels, and a decline in eGFR of 40% are accepted as surrogate end-points of CKD progression. However, validation of these surrogate outcomes for end stage renal disease (ESRD) in randomized controlled trials (RCTs) is limited. The changes in proteinuria are by far the most controversial outcome in this moment. There are strong graded association between baseline proteinuria and the risk of clinically important outcomes, including cardiovascular diseases and mortality. But do not forget, being a negative prognostic factor does not mean that is also a reliable outcome. This significant discrepancy should be underlined. It is well-recognized that in the context of nephrotic syndrome, sizable changes in proteinuria are a recognized marker of kidney disease activity. However, the evidences regarding the prognostic value of this parameter are inconsistent. Collecting data from observational studies or post-hoc analysis of RCTs (post-hoc analysis of a subgroup of the AASK, post-hoc analysis of the REIN, or post-hoc analyses of the RENAAL and IDNT) proposed that an early change in proteinuria may predict a longer-term renal benefit. In the same trend, two recent meta-analyses established that placebo-adjusted treatment effects on albuminuria correlate satisfactorily with the treatment result on ESRD endpoints. However, the included studies are prone to selection bias and residual confounding. The authors recognize that the duration of those trials was relatively short (maximum 24-month intervention), involved a selected population, and constituted mainly of diabetic and hypertensive patients. Freshly, another two observational studies demonstrated that changes in albuminuria were strongly and consistently associated with the risk of ESRD and death. In an observational study from the Stockholm CREAtinine Measurements (SCREAM) project, including 31,732 individuals with two or more ambulatory urine albumins to creatinine ratio (ACR) tests, changes in albuminuria was strongly and consistently associated with the risk of ESRD and death. Compared to stable ACR, a 4-fold increase in ACR was associated with a higher risk of ESRD while a 4-fold decrease in ACR was associated with a significant lower risk of ESRD. Similar associations were found in people with and without diabetes mellitus, with and without hypertension, and also when adjusted for the change in eGFR during the same period. In another observational study including United States veterans with eGFR > 60 ml/min per 1.73 m2, relative changes in UACR over a 1-year interval were linearly associated with subsequent risk of incident CKD and rapid eGFR decline independent of known kidney disease risk factors. Although promising, do not forget about the ONTARGET, ALTITUDE, ACCOMPLISH, or VA NEPHRON-D studies. In these trials, the reduction in proteinuria was not related with hard kidney outcomes. Moreover, albuminuria may be appropriate in the settings of structural damage, but it may not be in the setting of hemodynamic dysfunction or acute reversible disease. Additionally, studies have used diverse metrics of proteinuria, making comparisons challenging. Proteinuria can be calculated in a 24 hours urine collection or as a spot protein or albumin to creatinine ratio. It is generally accepted that the two are well-linked and spot ratio is more easily obtained. The prognostic information may be calculated from only a baseline value or longitudinally. In the pediatric literature, proteinuria is standardized to body surface area; this is not performed in the adult studies, where there might be a great variation in body surface area. And finally, do not forget that the evidence of efficacy of this parameter is provided by inadequately powered randomized trials or by observational studies (relatively short trials, with a selected population, constituted mainly of diabetic and hypertensive patients). In the last few years, important efforts have been made to improve the quality of clinical trials in nephrology. 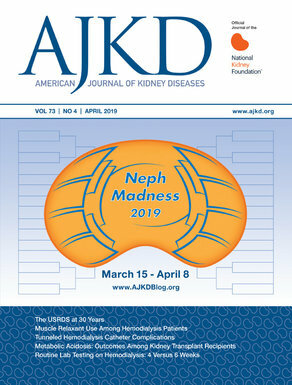 A recent KDIGO conference highlighted the most significant key challenges (inappropriate selection of outcomes, difficulty in identifying large numbers of eligible patients, high levels of nonadherence to study treatment by overburdened patients or overcomplicated trial conduct). In this context, we can only hope that future trial planners will take account of these limitations. Certainly there will be changes, but not in immediate medical practice. Overall we are skeptical – trials will be more expensive, more difficult to achieve. – Post written by Adrian Covic. Follow him @accovic.